Are you looking to move in or out of Galway? Then hiring a man with a van in Galway could be a real boon for you. Take a look at the average man with a van prices here. In this article, you’ll also find information on life in Galway. Pinpointing an exact price for hiring moving services is very difficult. This is because there are many factors that affect the overall cost of these services. For example, the volume of your belongings, the distance to your new home, and additional services will change your bill. Furthermore, each man with a van in Galway has their own way of determining their prices. And since there are so many businesses offering these services, there is a lot of variability in prices. The best way to get an accurate number is to ask for price offers directly. Nevertheless, it is a good idea to know the average costs. This is to avoid any nasty surprises when you receive quotes. How is this possible? By comparing quotes from multiple man with a van companies in Galway. Use our free, secure form and up to 6 companies will get back to you with their prices. Compare these prices, as well as the company profiles to make the right decision for you! You’ll save up to 40% on your moving service hiring costs. A great way to describe Galway is that it is more like a large town or village rather than a city. It is relatively small and the atmosphere is fun, laid back, and friendly. Despite its small size, it is quite lively—pubs, clubs, theatres, and numerous events mean there is something for everyone. 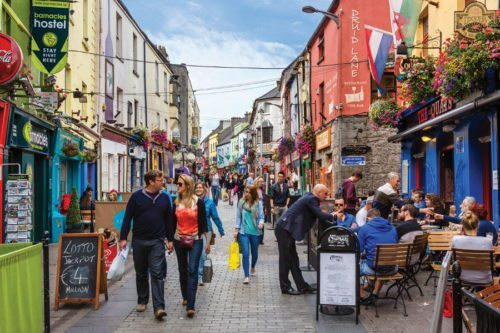 The centre of Galway—the area around Eyre Square and Spanish Arch—is full of life. In fact, the city is considered to be an important artistic and cultural hub in Ireland. You just have to visit the Galway Arts Festival, the Film Fleadh, or the Cuirt Literature Festival to understand why. And if you’re tired of the city, Galway is right on the edge of Connemara with its beaches, mountains, lakes, and forests. When it comes to weather in Galway, the most prominent feature is the rain. Compared to other cities in Ireland, Galway is very rainy. The majority of rain comes down during the colder winter months. The west coast of Ireland, in particular the area around Galway can have up to 225 wet days a year. In fact, some say that the rain doesn’t fall, it just hangs in the air! Although winter is rainy, summers are very pleasant. Temperatures reach an average of 18℃ in June, July, and August, which are the peak months for tourism in Galway. You can expect a mild, yet changeable climate, with long summer days and winter temperatures that hover around the 0 mark. Public transport within the city comes in the form of buses and trains. There are 2 companies that run bus services throughout Galway: City Direct and Bus Èireann. Also, there are commuter trains connecting the outskirts of Galway and the satellite towns of Oranmore and Athenry to the rest of the city. For additional information, visit this Galway Transport site. And while you can purchase one off tickets, using a regular pass is much more convenient and cheaper—the average cost is €74. Also, the Leap Card, used in Ireland’s major cities, is compatible for various forms of transport throughout the city. 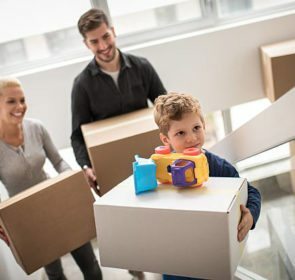 Why choose a man with a man in Galway for your move? 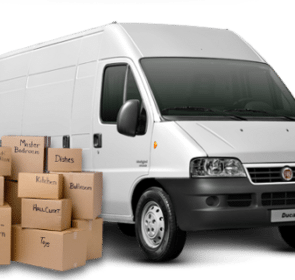 Cheaper prices: Man with a van businesses tend to be small and so their prices tend to be lower than that of a formal moving company. 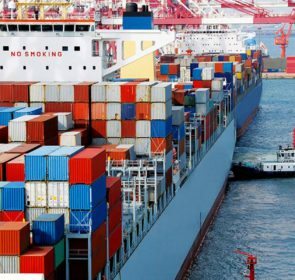 If you have a reasonably-sized load, then take advantage of these lower prices. 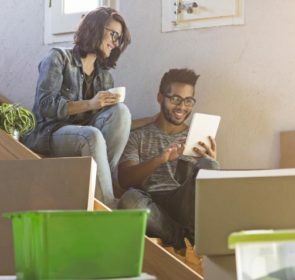 Quick and easy: Depending on the size of your move, these smaller businesses are able to get everything packed and transported in no time. For example, they can quickly load a moving vehicle and get you to your new home in 1 or 2 trips. Service with character: Hiring a small company means you are usually supporting local businesses. And these smaller man with van companies offer friendly and reliable moving services—depending on how you get on of course! …with our free and easy-to-use quote request form. Just fill in your contact information and details of your move then soon you’ll get offers from up to 6 companies. With multiple prices in 1 place, you’ll be able to find the right man with a van in Galway in terms of price, service, and profile. Plus, you’ll save up to 40% by avoiding overpriced offers!